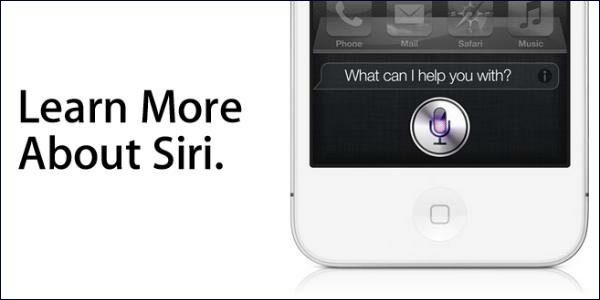 Could Apple’s Siri Application Undermine Local SEO? Posted on 22nd November 2011 at 15:48. We’ve all no doubt seen the TV advert for Apple’s new flagship model the iPhone 4GS, and marvelled at the latest digital application Siri. On the face of it this piece of software that allows users to control their phones by voice commands seems wonderful, and opens up allsorts of possibilities for those too busy to search for services themselves. Imagine being out on the town after a few too many and suddenly feeling the need for Indian snack. There was a time when you’d have to do a local search and find the restaurant for yourselves: not any more though, simply ask the question and Siri will work its magic and come up with a suggestion for you. It’s an automated searcher, a little like having a personal assistant in your pocket. How it works is still something of a mystery, though industry experts are suggesting that it’s simply drawing on existing public data sources like Google Places and Yelp. But before we all get carried away with this new piece of technology, maybe we should be asking some basic questions and considering what sort of ramifications are likely to follow from this. Could Apple’s Siri undermine or fundamentally change local SEO, and if it will, is there anything local businesses can do to counteract the threat? So, is there a problem? Is Siri not in itself a good thing? Well, yes, in a sense, it is. However, any automated searching tool will in most cases subvert the need for users to visit local websites: if an application can automatically check Facebook places, then there’s no possible reason why users should need to visit the business’ web pages. Those local businesses that haven’t already optimised their websites could find that they start to miss out on local business. But is there anything that can be done? Can local businesses do anything to make themselves more accessible and visible to Siri and its voice recognition tools? Optimise your website for mobile. Granted that’s not exactly a new suggestion as many businesses have twigged this already and taken steps to optimise their websites to make them more mobile-friendly. Yet, other businesses aren’t perhaps aware of just how quickly the mobile sector is growing, and are therefore perhaps underestimating the impact this growth might have on their businesses. Studies suggest that as much as 30% of all internet searches will have a local flavour or bias by 2015. So, it’s now a business imperative to not only make your website as mobile-friendly and accessible as possible, but also to optimise it for local search. Add a mobile site template. Having users land on a mobile version of your website will make them much happier, and it isn’t difficult to do, as mobile-ready themes already exist for publishing platforms including WordPress, Joomla and Drupal. Prominently featuring their physical address, local phone number and operating hours on the home page of your site for maximum local SEO benefits. It’s no longer enough to simply set up profiles on Facebook and Twitter and think that’s all you need to do. Instead, businesses should be establishing profiles as many relevant directories and review sites as appropriate and encouraging customers to rate your business there for maximum exposure. The list of directories is growing all the time, but for starters they could try Google Places, Yahoo Local, Bing Local, Yelp, Urbanspoon, Foursquare, Citysearch or Yellow Pages. It all depends which directories are the most appropriate. If you’re wise in the ways of SEO or know someone who is, you may want to consider adding “schema tags” to a website. Schema tags allow your site to incorporate relevant microdata — local business, address, telephone and open hours, for example — that could help Siri and the search engines process important information about your site more quickly. There’s no evidence yet to suggest that the introduction of Siri will mean the end for local SEO, however, it could be a threat in the longer term. It’s only been available for a short time, yet it’s Apple’s biggest seller to date. As Siri develops and other operating systems adopt this technology, the businesses that will fare the best are those who understand how customers interact in a mobile environment and optimise their websites to engage them. Social Media Isn’t Just Useful For Campaigns: It Can Help To Determine Marketing Strategy Too.Can Businesses Turn Social Customers Into Brand Ambassadors?